Bee removal: Bee removal is our bread and butter, but unlike other removal services, we strive to use only the safest products and practices so as to keep you and your loved ones safe. We’ll remove bees from trees, landscaping, roofs, walls, attics, fireplaces, sheds, cars, homes and commercial properties. Bee prevention: Get rid of your bee problem before you even have one by hiring South Bay Bee Removal for humane bee prevention services for your entire property. Bee relocation: Whenever possible, we prefer to relocate your bees rather than exterminate them, as bees are currently a precious resource. We are fully licensed beekeepers. Wasp removal: Wasps can be particularly unsettling due to their size, but we can use our same humane removal services on them as well. Carpenter bee removal: Carpenter bees tend to burrow into dead wood, making them a common household and backyard problem. We are happy to remove them for you. 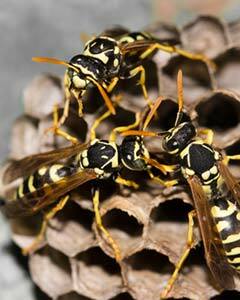 Yellow jacket removal: Yellow jackets are highly predatory wasps, which means that you need a quick and thorough bee removal service in Redondo Beach, CA, such as South Bay Bee Removal, to take care of them. 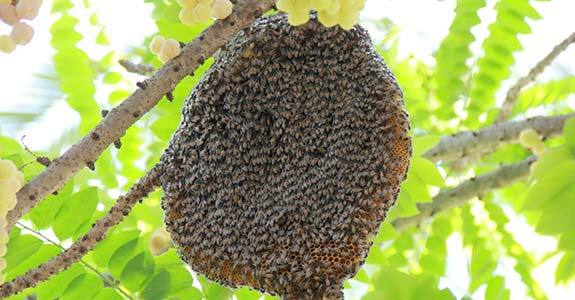 Swarm removal: A swarm is a large colony of bees, usually with a honey comb. If it has risen to this level on your property, removal can be tricky, but we can always get the job done. If you are in need of bee removal service in Redondo Beach, CA and the greater South Bay, CA area, please do not hesitate to contact South Bay Bee Removal at 310-378-4614.